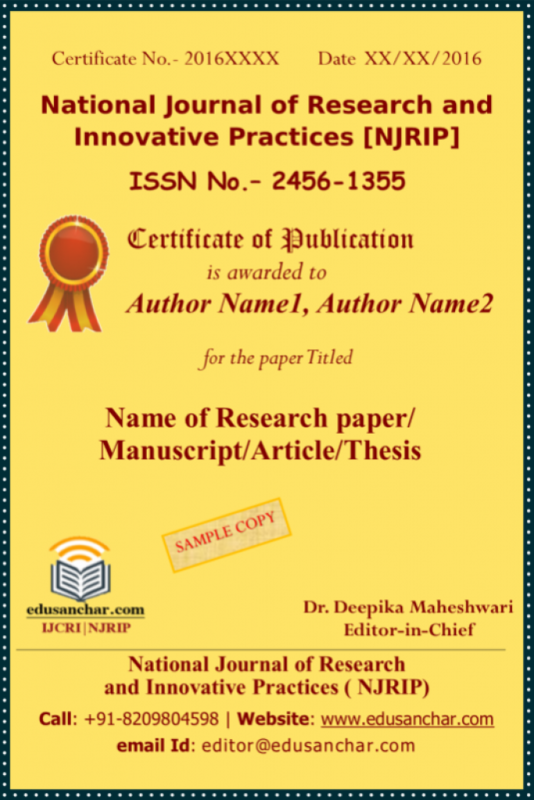 This Website Facilitates the Publication of Research Papers/Articles/ Manuscripts/Thesis in the Provided Journals by the Research Scholars/ Research Guides,etc . IJCRI – International Journal of Creative Research and Innovation. 3. Engineering and Technology . 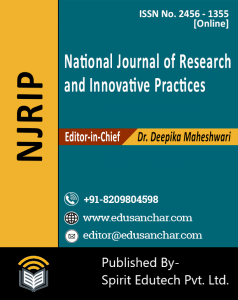 NJRIP – National Journal of Research and Innovative Practices . When we Send You Editorial Feedback. When We Finally Publish your Research Paper/Article/Manuscript. 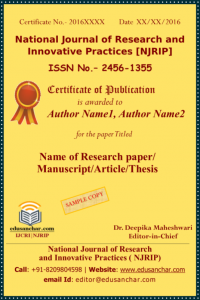 After Submit Your Paper/Article , We send it to Editorial Review Process .When your Paper/Article is Accepted for Publication , after then we ask You for Copy-Right Form and Publication Fee for Journal . 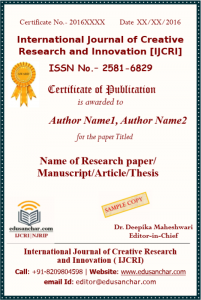 Please Read about How to Publish Research Paper/Article/Manuscript Here. 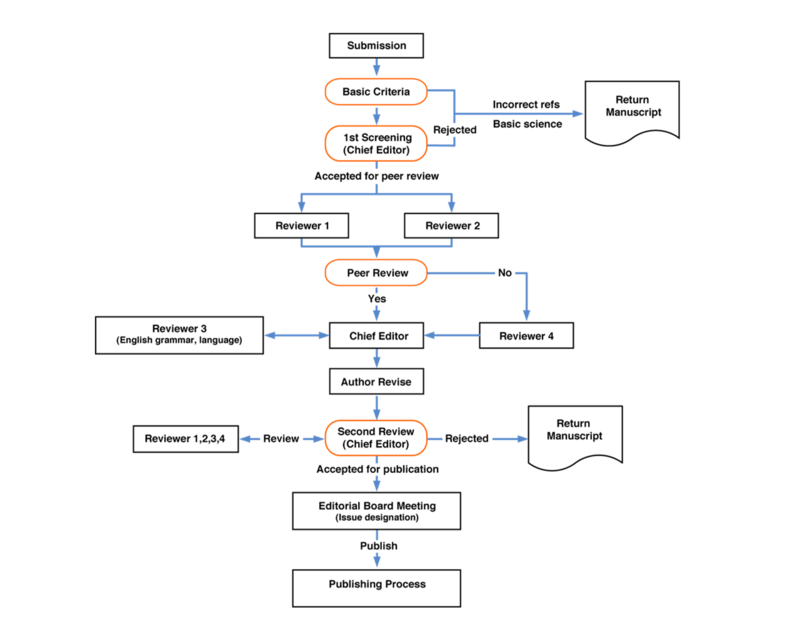 What is the Review Process ? What type Certification We Provide ? 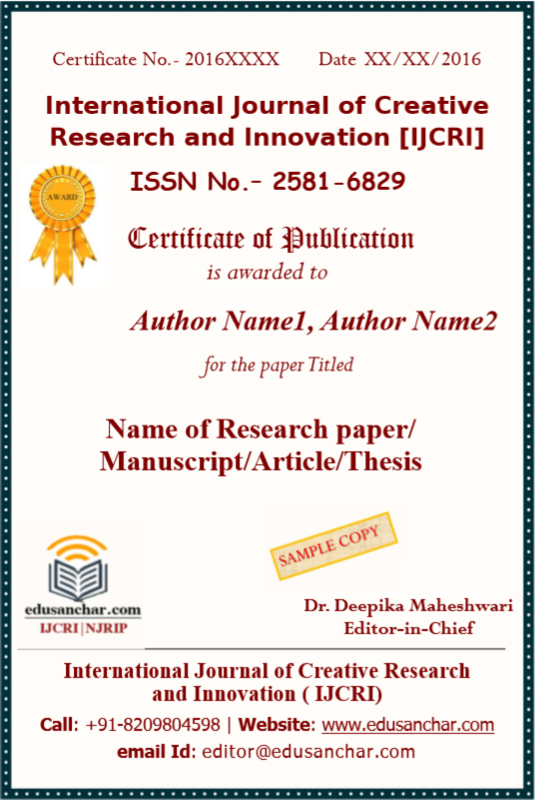 We provide the Softcopy of the certification, which is a document mentioning that the paper has been published with educanchar.com Journal (IJCRI / NJRIP ) under our ISSN and duly signed by the editor-in-chief of the journal. What is Publication Ethics and Copy-Right Form? 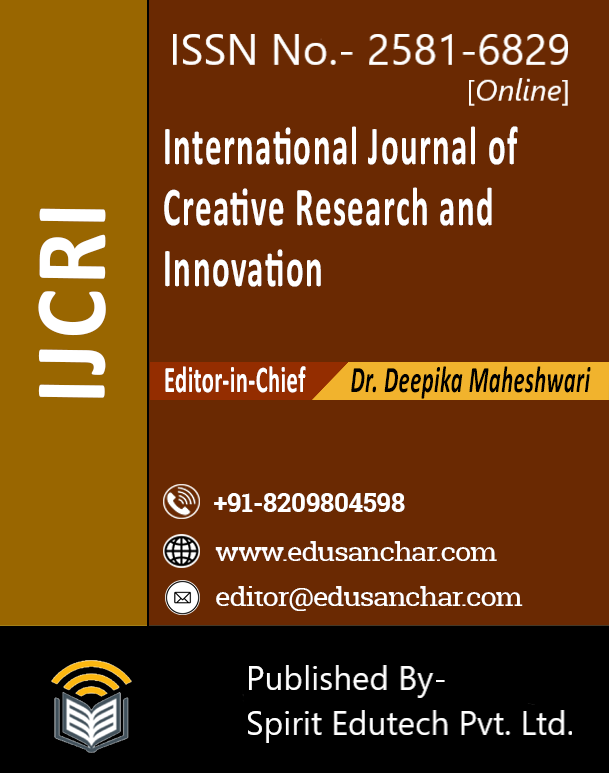 Our Journals are Published monthly in online versions. 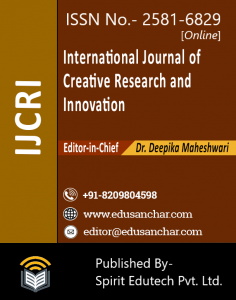 International Journal of Creative Research and Innovation (IJCRI) / National Journal of Research and Innovative Practices (NJRIP ) publishes original papers, case studies, review papers, literature reviews, conceptual framework, empirical research, analytical and simulation models, technical notes and book reviews. 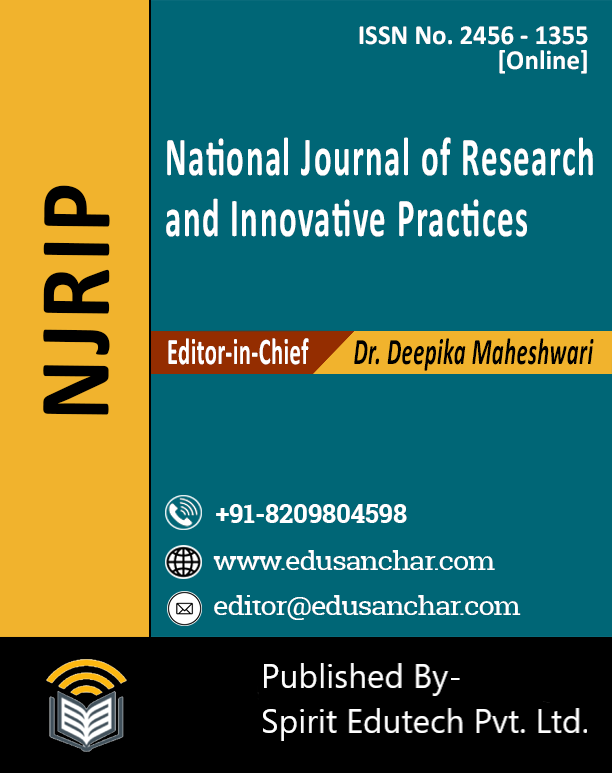 Special Issues devoted to important topics in business, humanities, social science, science and technology will occasionally be published.